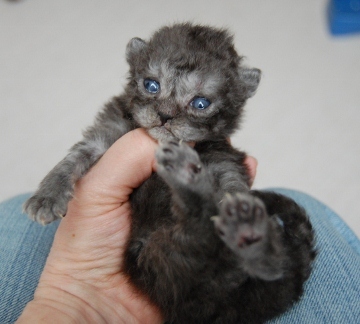 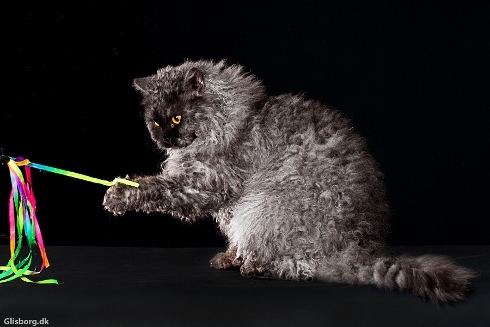 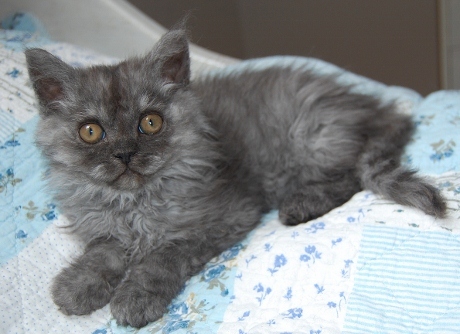 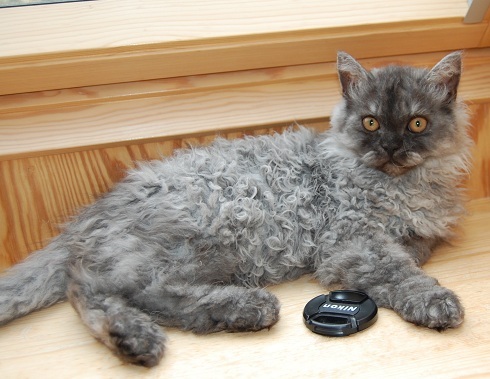 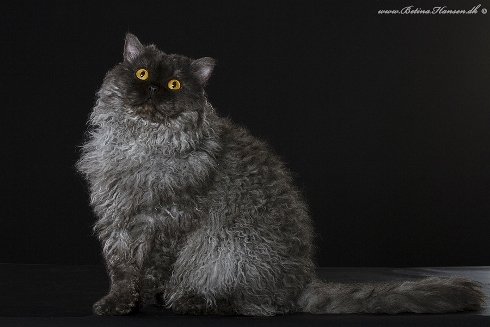 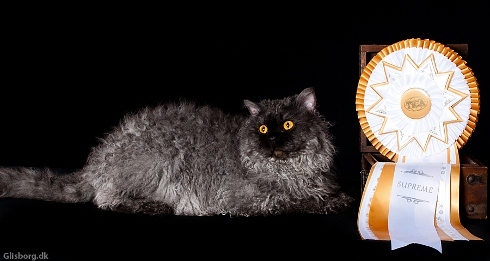 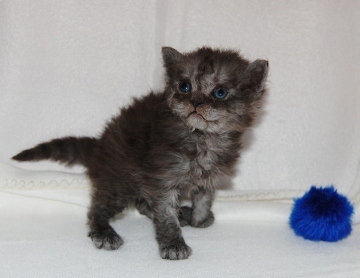 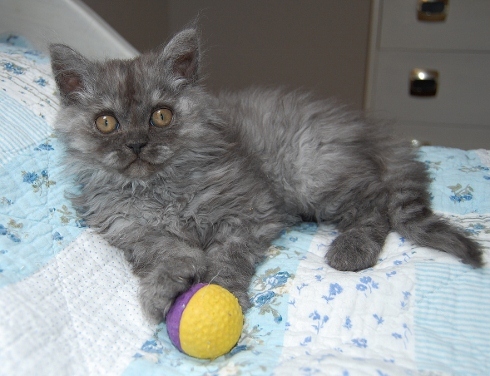 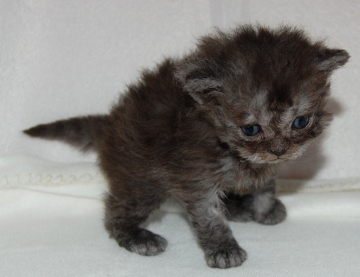 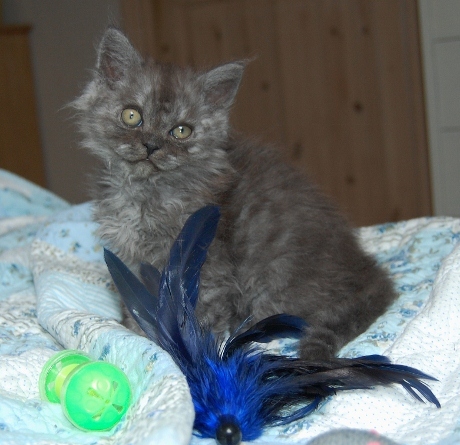 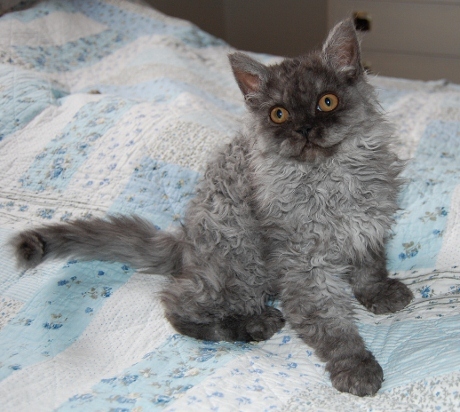 Comments: Black smoke boy Selkirk Rex Longhair with wonderful temper. 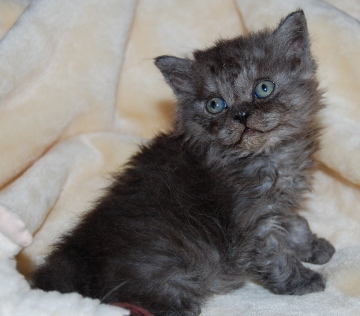 He just started out in TICA shows and he is now SGC. 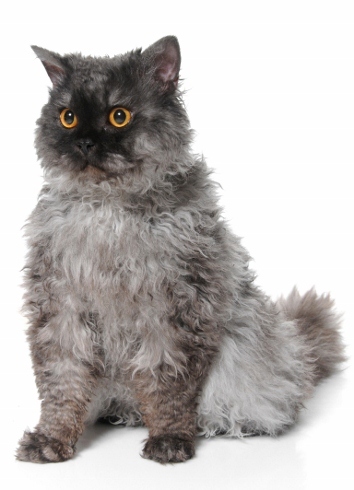 We are very proud of him. 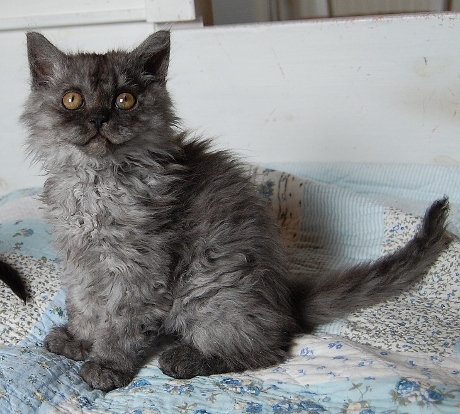 Peer Gynt 1 1/2 year.